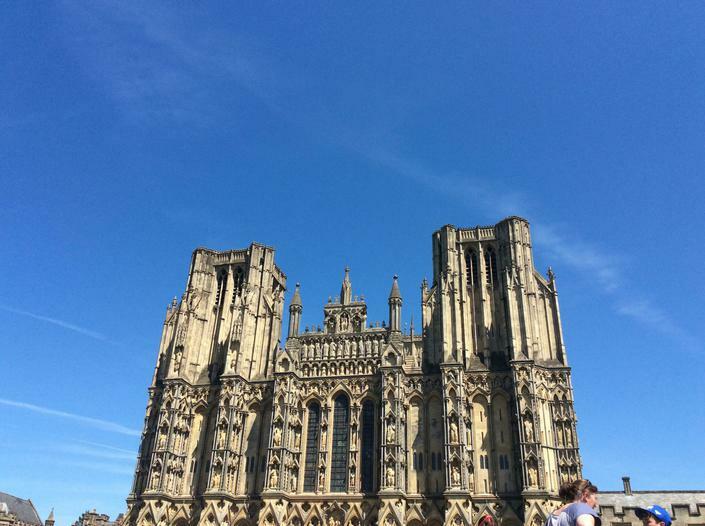 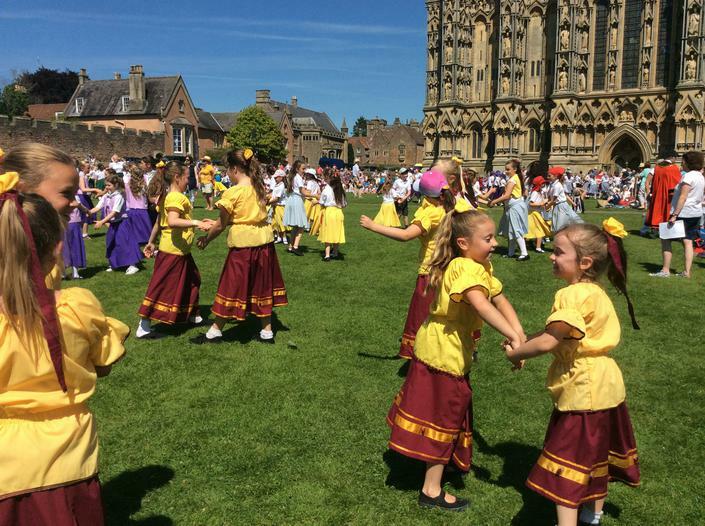 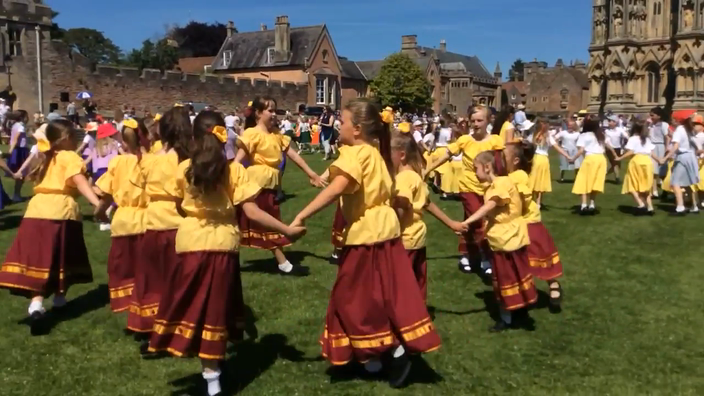 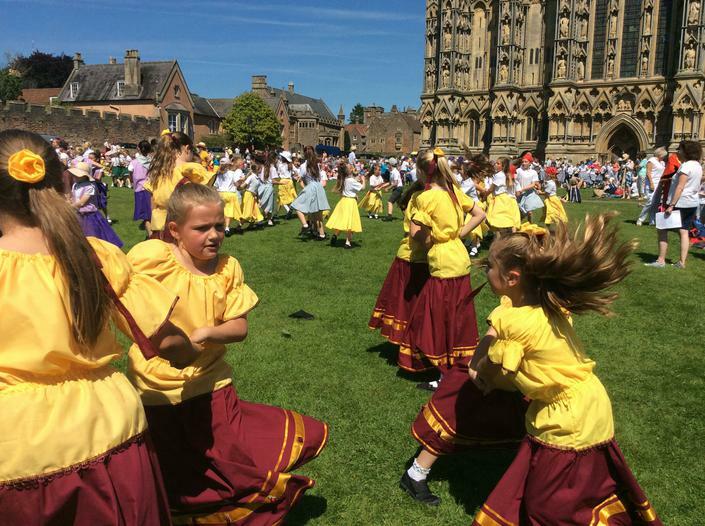 KS2 children are invited every June to dance with other schools from the area in Wells. 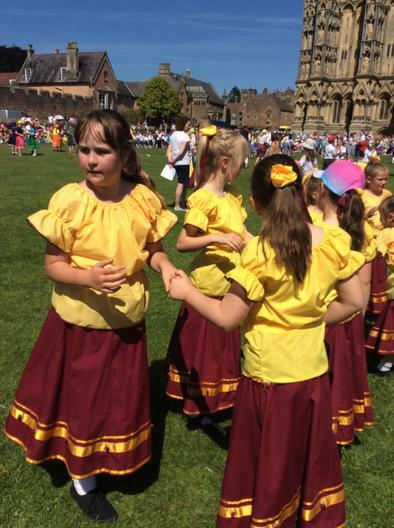 Dance club takes place in the school hall with Miss.Hodgkinson every Thursday from 3.20pm until 4.20pm. 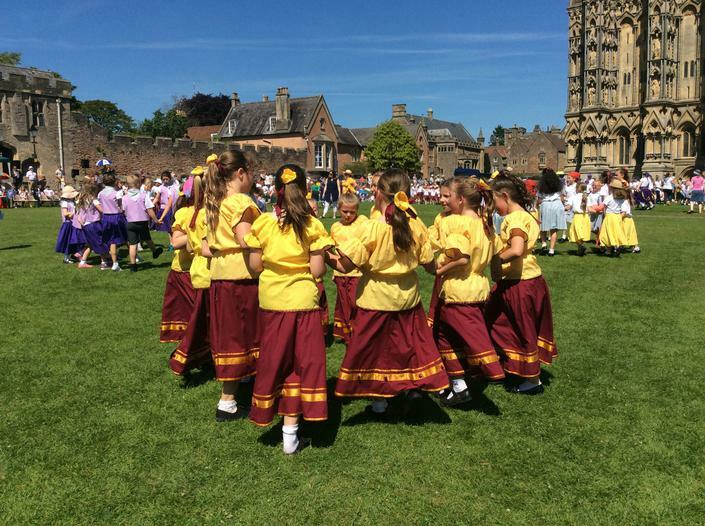 It is available for both key stages. 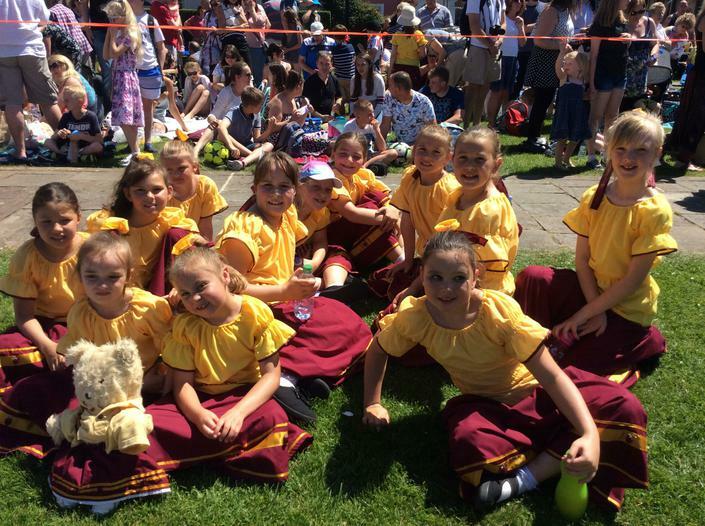 Your child will be given a list of dates and this list will always be on the window of Miss.Hodgkinson's classroom. 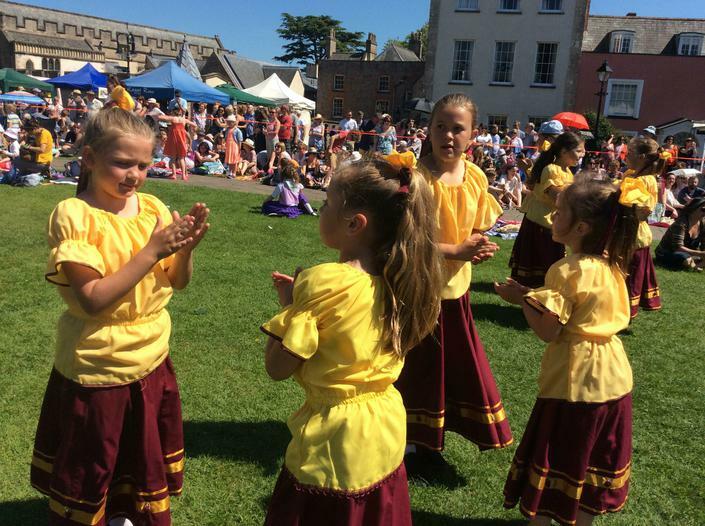 The children are taught different styles of dance; country dancing, modern dancing and dance from other countries such as Greek dancing. 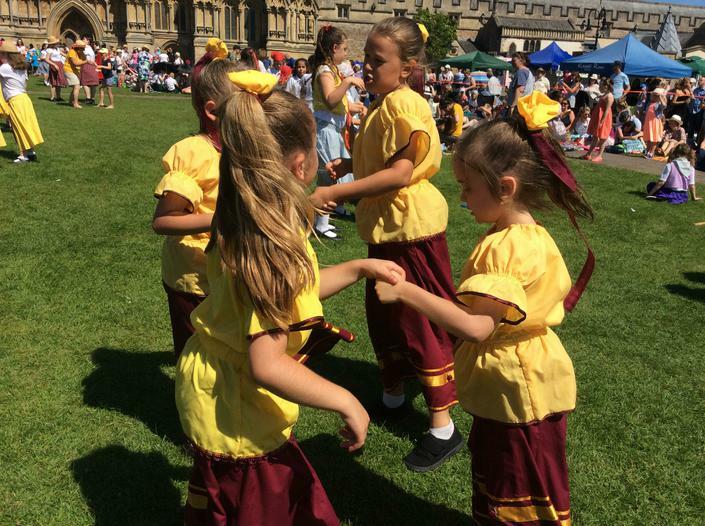 The children are also given the opportunity to create their own dances and are given the choice to do this individually, as a pair or as a group. 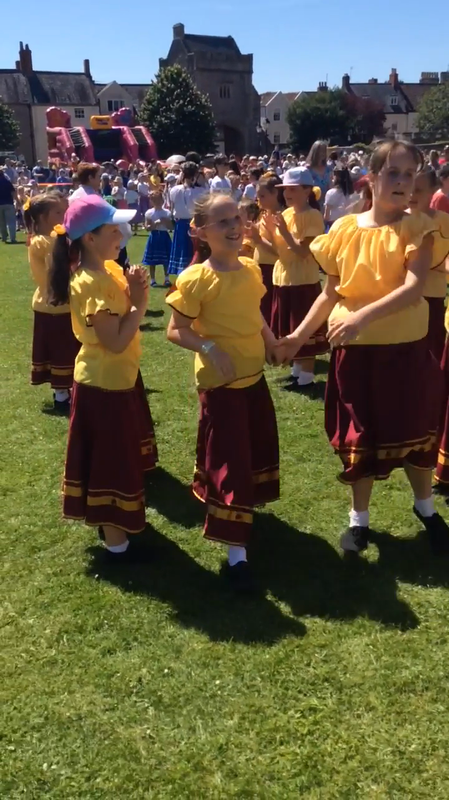 Some children love to show dances that they have learnt outside of school or dances that they have created themselves outside of school. 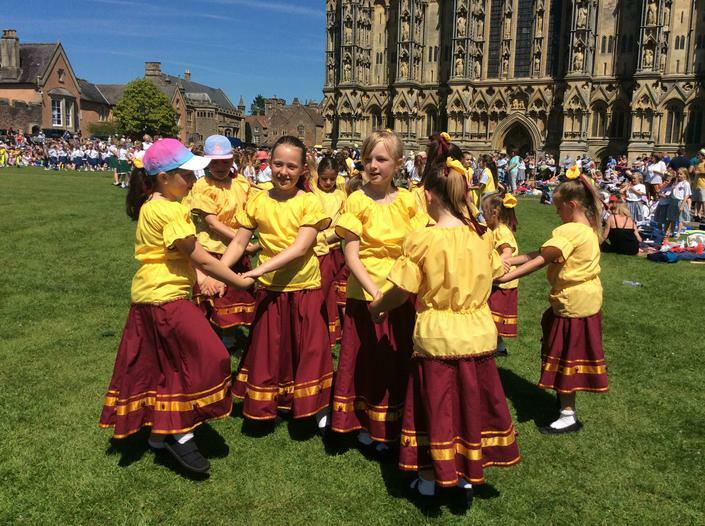 This also gives them the opportunity to practise performing in front of an 'audience'. 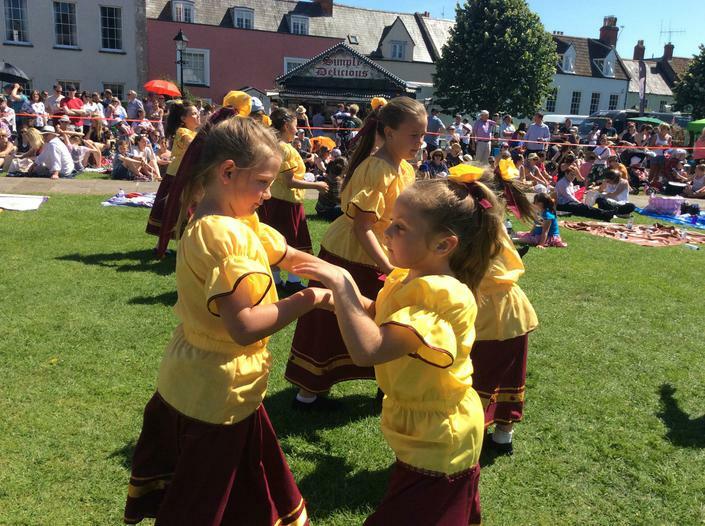 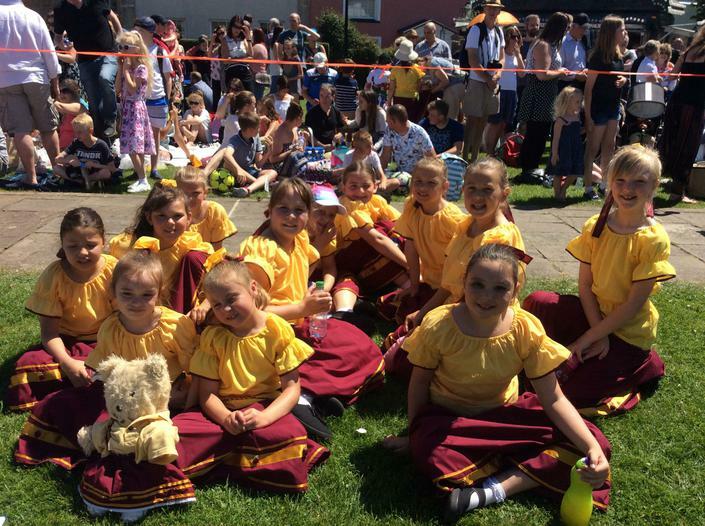 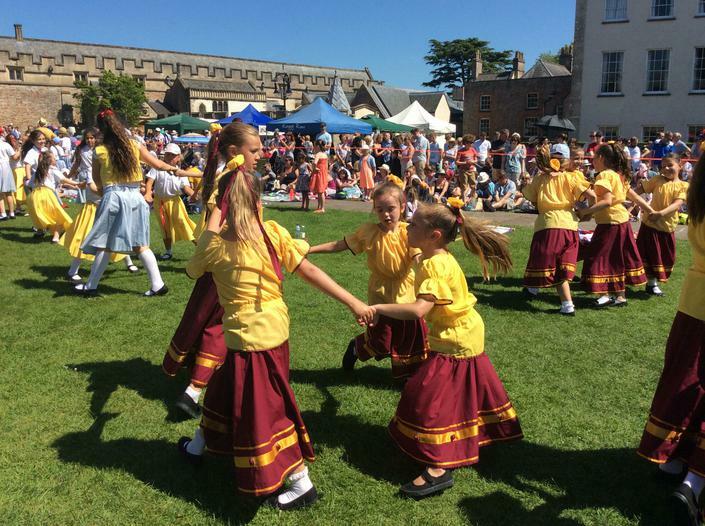 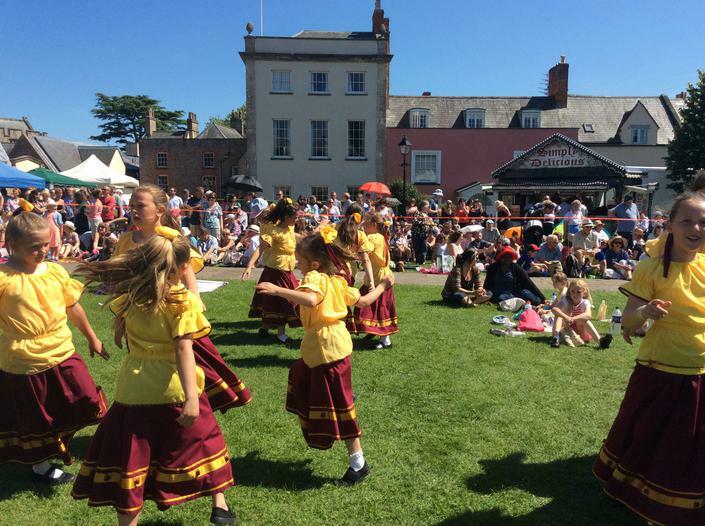 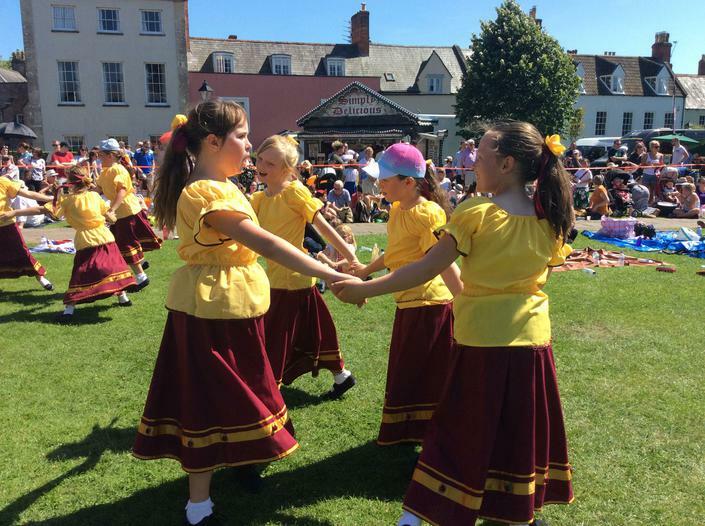 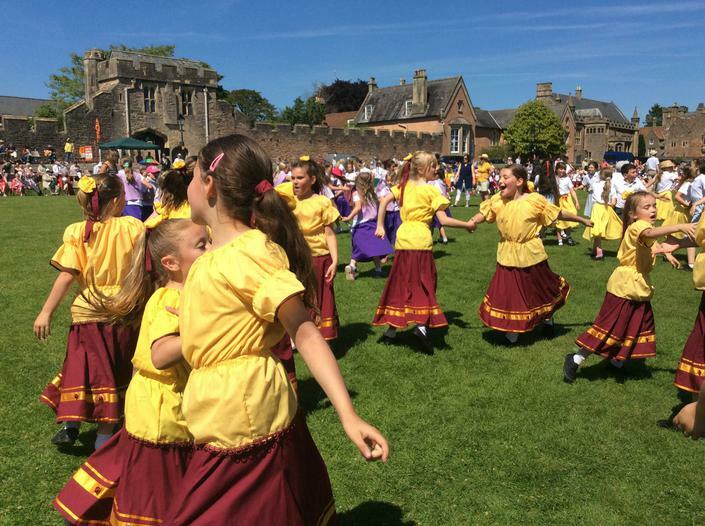 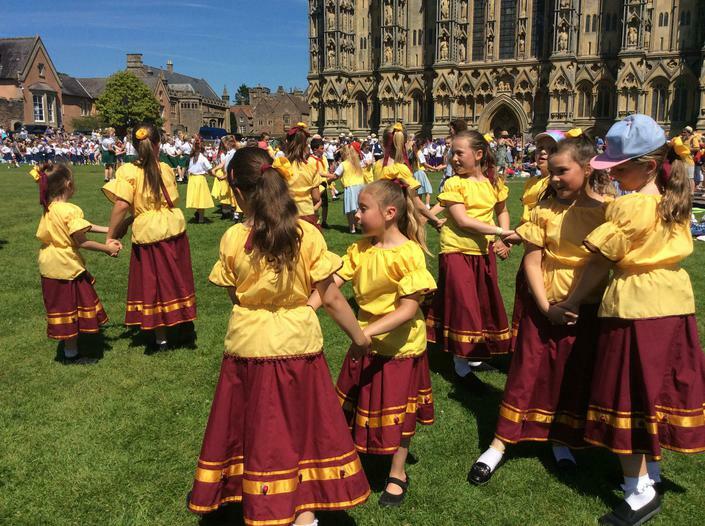 Every year, the key stage two children are invited to perform at the Country Dancing Festival in Wells. 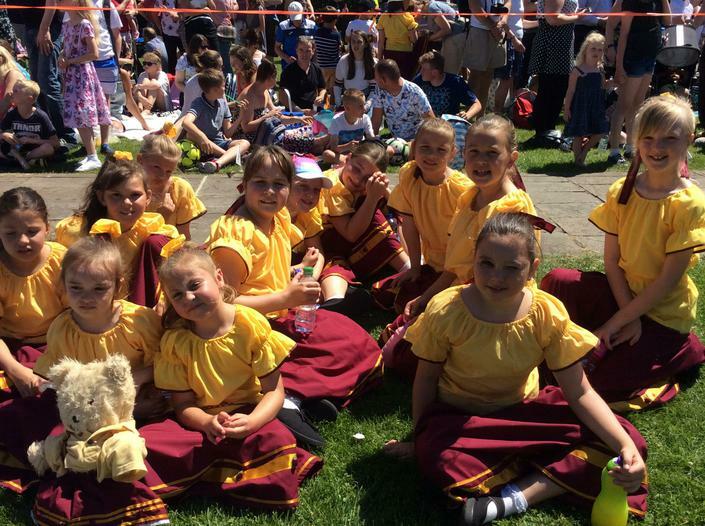 This is a brilliant day out for all the family and the children love performing and showing their hard work.